Although not confirmed, the main reason for this update is to fix an exploit found in PS3 Firmware v4.81 earlier this month codenamed PS3Xploit. 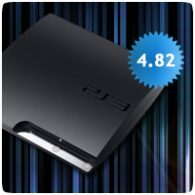 I just bought my first PS3, a backwards comparable 60gig model (CECHA01) that is currently running software version 4.55. I read the descriptions for each update following 4.55, but I want to confirm Sony didn’t remove backward comparability (or other useful features) before I update to 4.82.